Last week, “The Help” received a Golden Globes nomination for best picture. A few weeks ago, I had gone with a friend to see the movie. 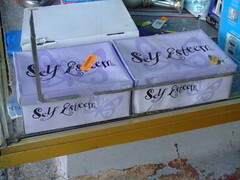 I found it somewhat offensive. As it turns out, so did other people. Since many people have shared different parts of the movie that offended them, I will only delve into three. As a superficial first: the lead white character, Emma Stone who played the protagonist “Skeeter.” Ms. Stone is a cute up and coming Hollywood actress, who, in this film—meant to be set in the early ‘60’s—was made to look like something out of the last decade of the 20th century or the first decade of the 21st century. I found this not only irritating but also peculiar since everyone else in the movie looked like they might have come from the early ‘60’s. The next level of offensiveness was a little more insidious: A remaking of history in which every single white man in the movie comes across as a big softie without a backbone or opinion or position on the whole race issue. Puhlease! What sort of fantasy is Hollywood going to come up with next and, one has to ask oneself, to what end? In the early ‘60’s, I had just moved to the United States from overseas. Albeit a child, I felt the tension that existed, the anger and the fear and, yes, even the hate—more on the part of the whites for the blacks than the other way around, which I found very interesting (in spite of my youth), since it was apparent that the whites were in control and the blacks were the oppressed. Ooohhhhkaaayyyy! I remember a colleague of mine from Mississippi who fell in love with a “Black” man in the 1990’s. He had nappier hair than she did, but otherwise you might have taken them to be siblings. Her family disowned her and swore they would never speak to her again. They told her that, as far as they were concerned, she was no longer welcome in their home. Hm. Some of the attitudes that existed during that period of time are presented: mostly all wrapped up into the one character “Hilly” (well played by Bryce Dallas Howard). And we do see some expressions of the fear many Blacks lived with in those days on the part of the maid “Aibileen,” beautifully and sensitively played by Viola Davis. Oh, okay, here is a fourth offensive part of the story. The drama where “Skeeter’s” mom bowed to societal pressure and showed their frail, elderly, and saintly maid the door because the maid’s daughter had the nerve to come through the front door while Skeeter’s mother was hosting a meeting of the Daughters of the Confederacy (or some such group). But, glory be, did Skeeter’s mom abhor herself for that action. So much so that she seemed to have developed an illness that was killing her until her daughter wrote a book that uncovered all the nastiness of the white “slave owners”, oops, I mean maid employers that lived in Jackson MS way back in the early 1960’s. In interviews Stockett has given, she does not seem to recognize that by taking a period of time in American history in a country where race relations have always been a hot topic and nullifying the very intense vibration that existed at the time (and in some places still exists), she has undermined a part of our history that needs to be remembered and not diminished by silly story lines in which scenes like (okay yet another offensive scene) the one where the maid Minny, played by Octavia Spencer, informs her former employer (Hilly) that she has added some of her own excrement to the chocolate pie Hilly just ate. A woman as nasty as “Hilly” would have demanded retaliation, and in those days, they would have been harsh. But in the movie, Hilly just gags and Minny looks triumphant. In our country, with a tendency towards short-term memory when it comes to history, is this movie the best we can expect at this juncture in time when delving into a less than honorable period in our history, the segregated South with its Jim Crow laws and Ku Klux Klan? It would seem so. However, as the adage claims, there are always two sides to a coin and one of the outcomes of this movie is that there are some great discussions occurring representing varying inputs of a more accurate review of those days. (Below are some links to some of the writers and writings). As I read all the discussions generated by this movie, I realized that what the book and movie have very successfully done is allowed a dialogue to occur around the issues of race in our country, then and now, and how it is portrayed in Hollywood. And so for that, I do take my hat off to Kathryn Stockett’s choice of subject. In the end, it has allowed a little further foray into the topic of race relations in our country. But a Golden Globe award? Naw. It just was not that great a movie. 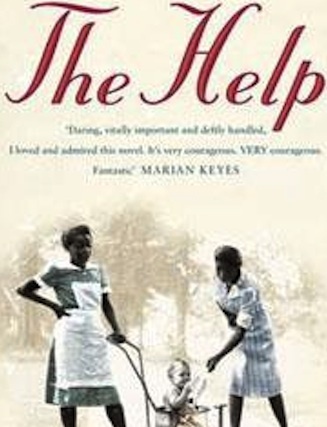 Following are links to some webs and blogs in which “The Help” is discussed. The first link is probably one of the most in-depth response to the movie “The Help” If you wish to get a more accurate picture of what life was like during this period of time, I strongly encourage you to go to this website.